Convenient and affordable monthly parking around Riverfront Park. North end of the Washington Street Bridge. Just north of the park on the corner of Howard and Mallon. Buy Parking today right from this website! 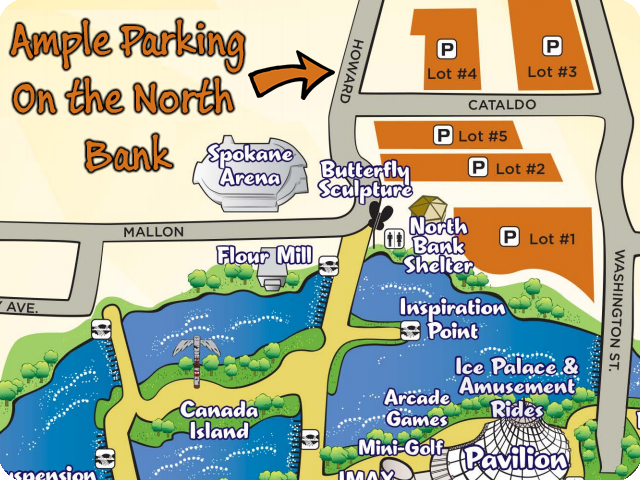 The City of Spokane's Riverfront Park is a 100 acre park offering the best scenic views of the spectacular Spokane Falls, great Centennial Trail bike access, attractive walking paths, year round family and group entertainment options and an engaging Sculpture Walk for over 3 million visitors a year.